Sufficient warehouse space to transit your goods, preferential Allotment of space and exclusive rates for certain types of cargo on certain destinations are some of the other value added services provided to our esteemed clients. Amiable Logistics (India) Pvt. 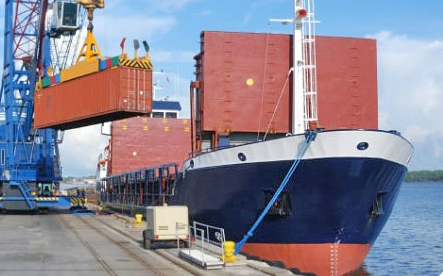 Ltd. provides services to Importers and Exporters for the smooth clearance of all Imports and Exports by Air & Sea. Amiable Logistics (India) Pvt. Ltd. is a bridge between trade & government authority like Custom & DGFT. We give personal attention to entrepreneurs. We believe not only in serving our valuable clients but serving them with efficiency, honesty and dedication. We are fully aware of all the Import & Export trade regulations in India which enable us to sort out all problems with customs and other authority. Client satisfaction, dedication and trained staff are only the guiding force behind Amiable Logistics (India) Pvt. Ltd. for its spectacular growth. Handling approximately 6000 Jobs & Clearing 7000 containers per annum.